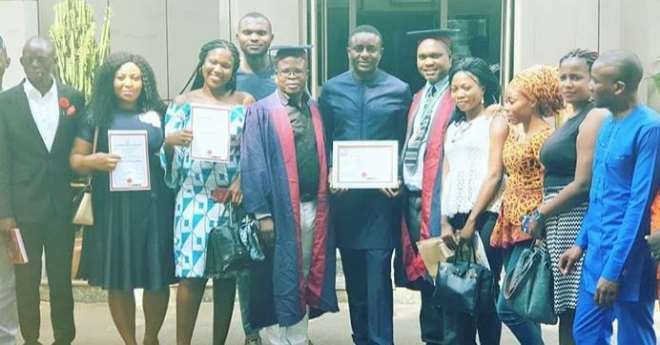 When others are busy fighting and calling out names, Nollywood actor, Emeka Ike, is busy making impact in the society in every little way he can which does not need to be pronounced. The actor was recently honoured with the award of HUMANITARIAN FRIENDLY PERSONALITY & AMBASSADOR from the INSTITUTE for HUMANITARIAN STUDIES & SOCIAL DEVELOPMENT. He might not be loved by many but when it comes to supporting and helping others in the society, the actor is one who is always ready to make sacrifices for others.